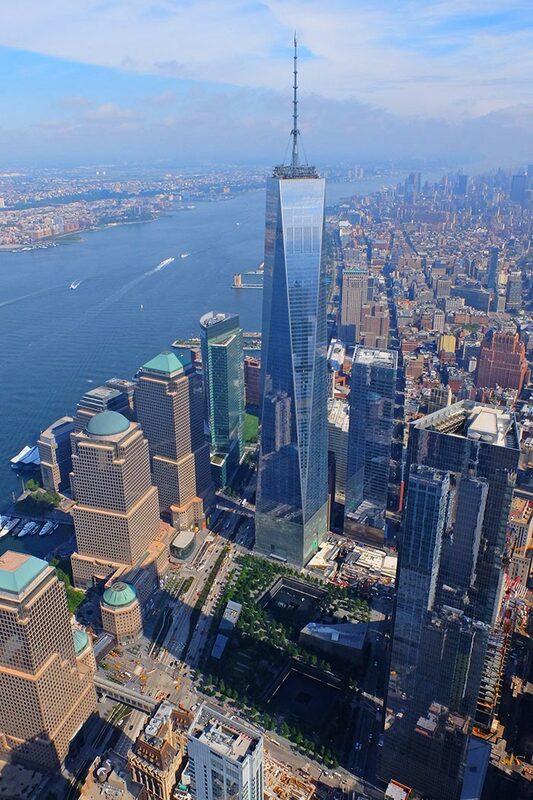 Visiting One World Observatory (formerly known as Freedom Tower) is worthwhile. You will be able to enjoy the indescribable view of the city. It is the tallest building in the Western Hemisphere, who wouldn’t want be on top of the world? Tickets start at A$54 for adults and A$45 for kids. After going through security you enter the Global Welcome Center with a large video screen greeting guests in 10 different languages. In a room called Voices you follow a video installation of 48 workers who helped build One World. In the walkway that is called Foundations you will learn more facts about the building. You are now ready to take the elevator up. These are called Sky Pods and fit 15 people each and the trip to 102nd floor only takes a minute. During the ride you can enjoy a fascinating time-lapse video how the skyline of New York has developed over the years. 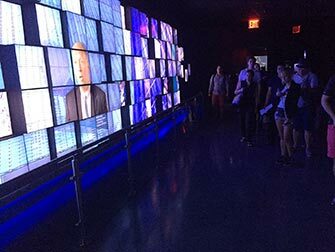 After arriving on top, you will watch a 2-minute video about New York in the See Forever Theater. Once the video is over, the screen is lifted up and you are in for the real treat….the New York skyline! You stay inside the whole time. Don’t forget that at Empire State Building and Top of the Rock you can visit an observation deck outside. On the 100th floor you will find two interactive stations where you can watch videos with the latest technology. You might even be able to request specific images of New York. Furthermore, you will find Sky Portal, a circular disc that shows real-time videos of New York streets below. In addition, the gift shop is situated on this floor. 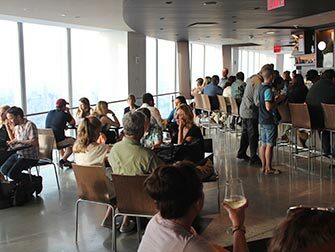 On the 101st floor you will find all dining options, whether you want a snack or cocktails or a fancy dinner, there is something for everyone. Be prepared that it won’t be cheap though. Eric’s Tip: It’s always handy to order your tickets in advance, saving you from spending your precious time in the queue. 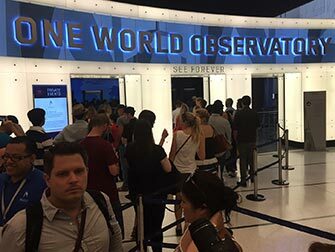 You can even buy the One World Observatory tickets at short notice online. You will receive an e-ticket that you don’t need to print. This way, you get maximum flexibility and bypass the long ticket queue at the door. 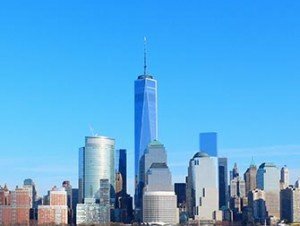 If you would like to see lots of sights in one day, this full-day tour allows you to skip the lines and takes you to Statue of Liberty, Ellis Island, tours around 9/11 Memorial and Financial District and finally ends up in the One World Observatory with a pre-reserved ticket. Read here more information and book tickets. You need to print out your ticket or show it on your smartphone as a mobile ticket and be present 15 minutes before the time mentioned on your ticket. All visitors will go through a security check. You can only take a small bag with you, there are no lockers.